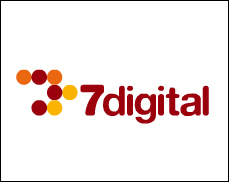 LONDON (Hypebot) – UK based 7digital began selling music from Universal Music as 320K mp3's today. It's a first for Europe and appears that the site is offering both new product and deep catalog. Strangely, there was no formal announcement made of the change. Thus far no details are available as to plans by Universal to spread DRM free downloads to other EU stores, though an Amazon DRM -free European download store is heavily rumored to be racing towards a September launch.